Every year Glamour team up with Benefit to produce the best miniatures as GWP with purchasing the magazine. For 2012 it was no different. 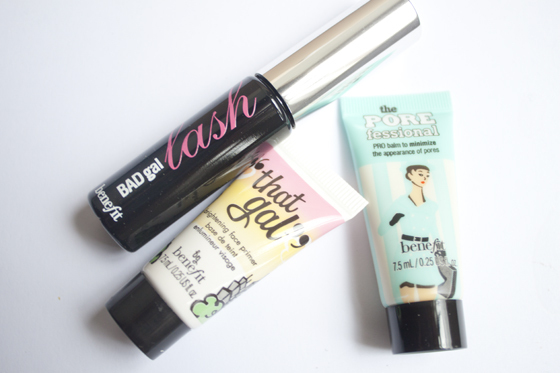 This year they have offered up Benefit BadGal Lash, Benefit That Gal Primer and Benefit The Porefessional, All in cute sample size packaging. I've used Bad Gal lash before and really liked it and Porefessional is one of my must have products. I've never tried the That Gal Primer, but Im excited to try it out as I'm very into illuminating primers at the moment. Each magazine costs £2 and according the Glamour they tot up to around £35 retail value, which I personally don't think is right but to be fair they are great little mini's. Im going to be taking the three on holiday with me as they are the perfect size for travelling in the summer season! I purchased all three mini's for myself, even though I have a full size The Porefessional (its one of my MUST have products) but also picked up a trio of magazines and products to giveaway. I know that these normally are so hard to find so when I saw two lots of all three gifts I knew I should get one set to giveaway. Of course I left some on the shelf, unlike the lady next to me who took all the Instyle Body Shop Mascaras! Enter below via the Rafflecopter form under the cut, Comment entries don't count! 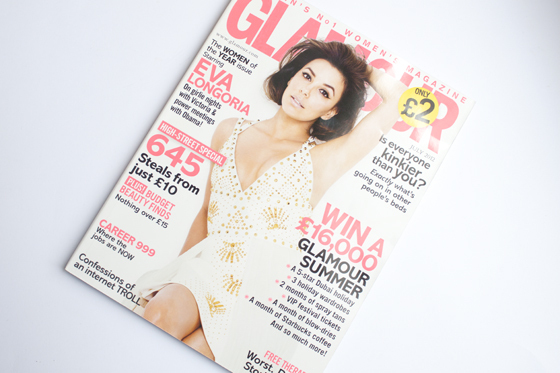 Glamour magazine costs £2 and is available in most newsagents. The GWP's come with the July 2012 copy of the magazine which is out from the 31st May. I suggest trying smaller, local stores if you're looking for the freebies. I looked in my local WHSmith (someone had cleared the shelf) and Sainsbury's (again cleared the shelf) But I checked in my local corner shop and they had a fair amount left. So if you're struggling to find them I highly recommend checking small corner shops or locally run ones! i got the ciate polish too! i got the lilac one as it was just gorgeous! Entered, such a kind giveaway. I got the porefessional today and can't wait to use it! Been thinking of buying it now i can sample it! Definitely entered this one! 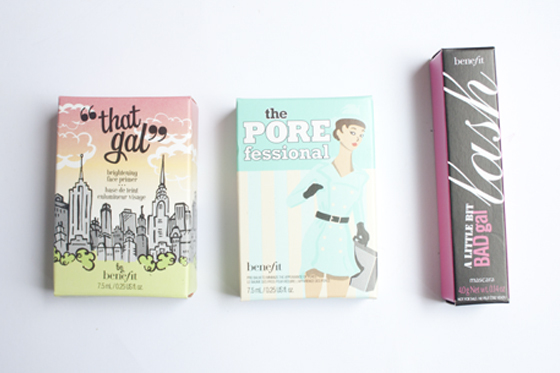 I love Benefit!! This is a lovely giveaway, I can never find these when I go looking for them, the magazines must sell out so fast where I am! I've already picked up two copies of Glamour with professional and bad gal lash but need to get my hands on that gal as I've never tried that either! Entered! Hope this is open Internationally as i am from India. Its definitely a lovely giveaway!! Entered. I bough the 'that gal' primer a while ago and LOVED it but haven't been able to afford it since :( Also been meaning to see if the porefessional will help with my skin. Needless to say I'm hoping I win haha. I entered! I would love to try out these products since there are so many good things I hear about them! Don't have anything by benefit, great give away! I'll be raiding the news stands when I get into town tomorrow in the hope there's a glamour mag somewhere left!